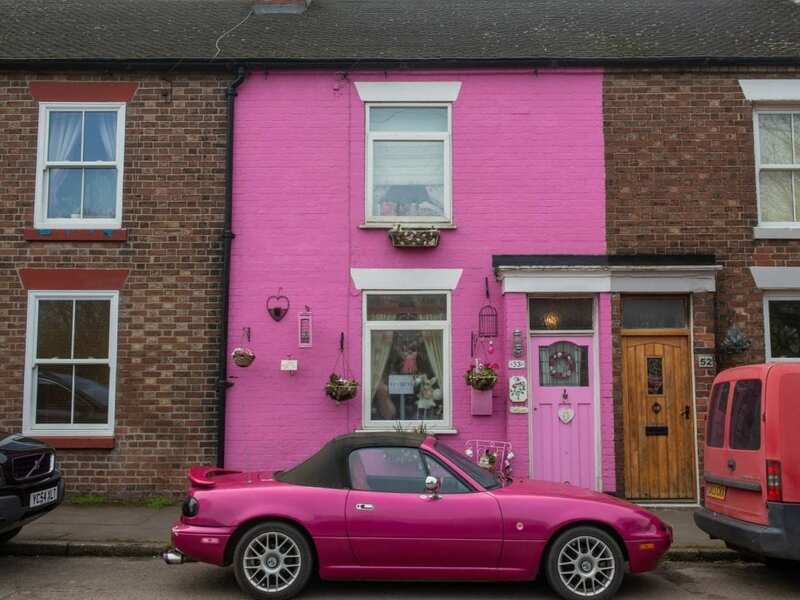 Sally Owen loves pink so much, she painted her terraced house in it, Swadlincote, Derbyshire, April 3, 2019. 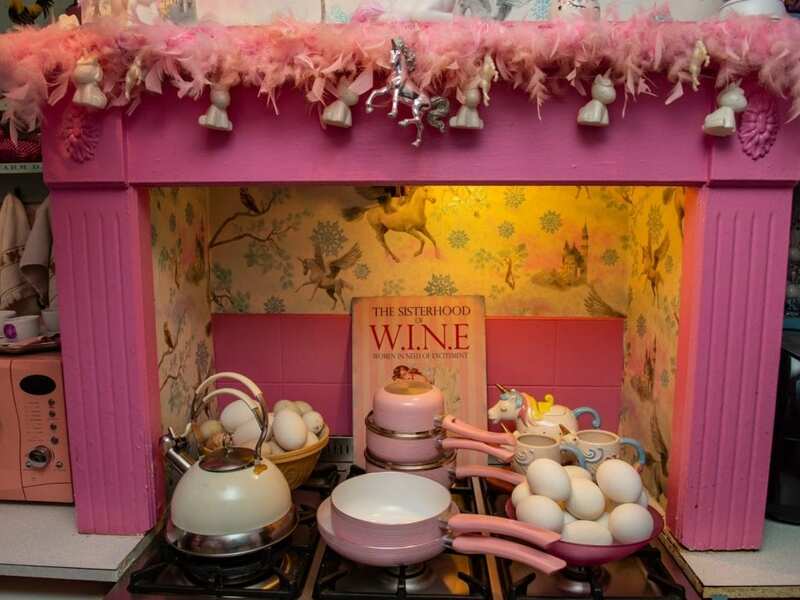 Wacky Sally Owen has brightened up her life by colouring all her possessions – including her house, car and even pots and pans – bright PINK. 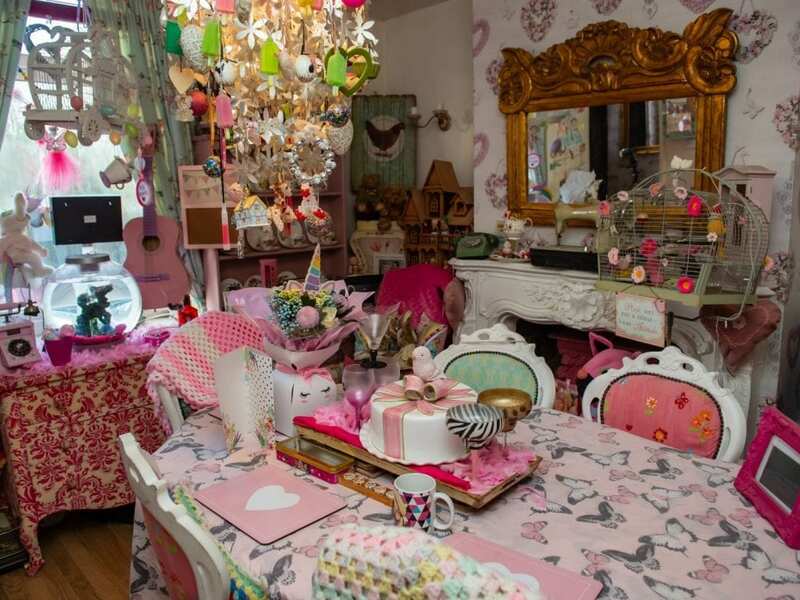 The 48-year-old’s modest village home is now a tourist hotspot after having the garish makeover. 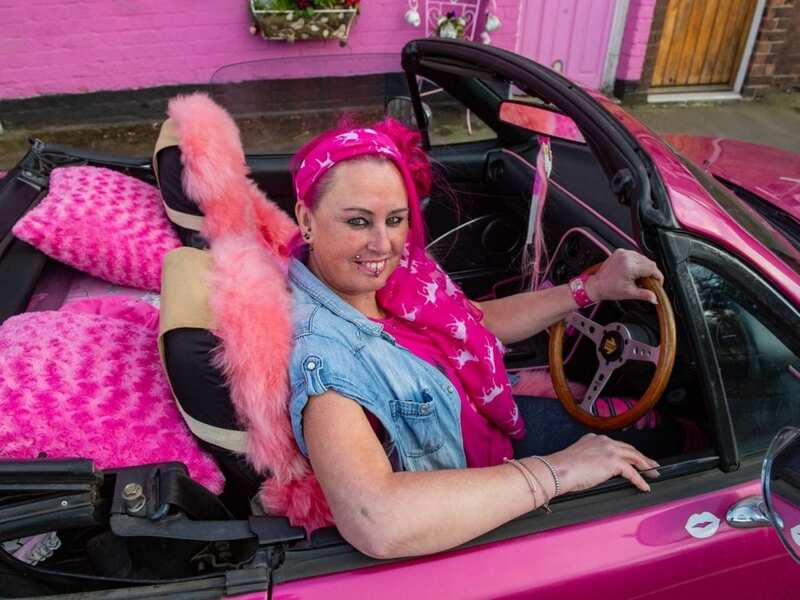 She loves the colour so much, every one of her belongings is pink, including her car, caravan, hair, and even her cups and saucers. 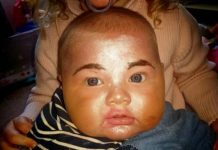 The mum-of-one, nicknamed “Pinky”, is a well known figure in her home village of Linton, Derbys. 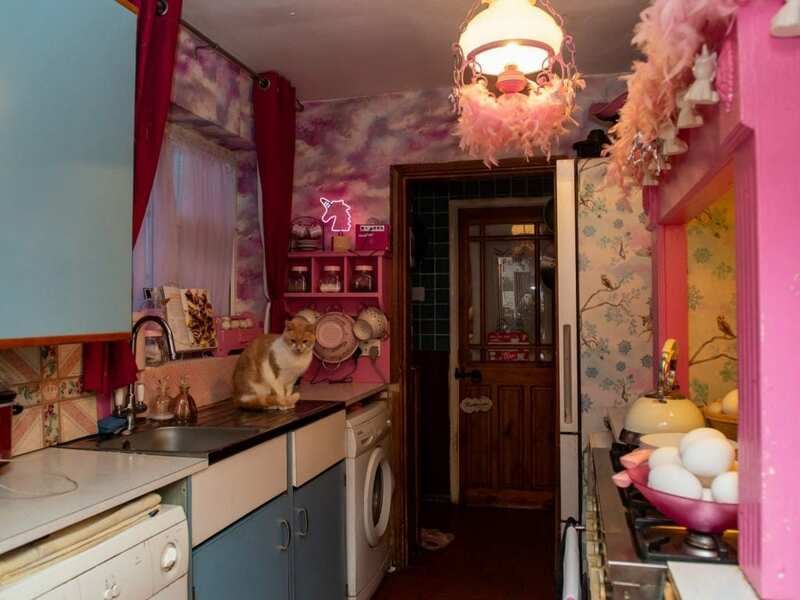 Sally, who runs a pet auction, said: “You’ve got to put a bit of colour in your life and mine is just pink. “I always wear pink. Everything’s pink. “It’s just my favourite colour. 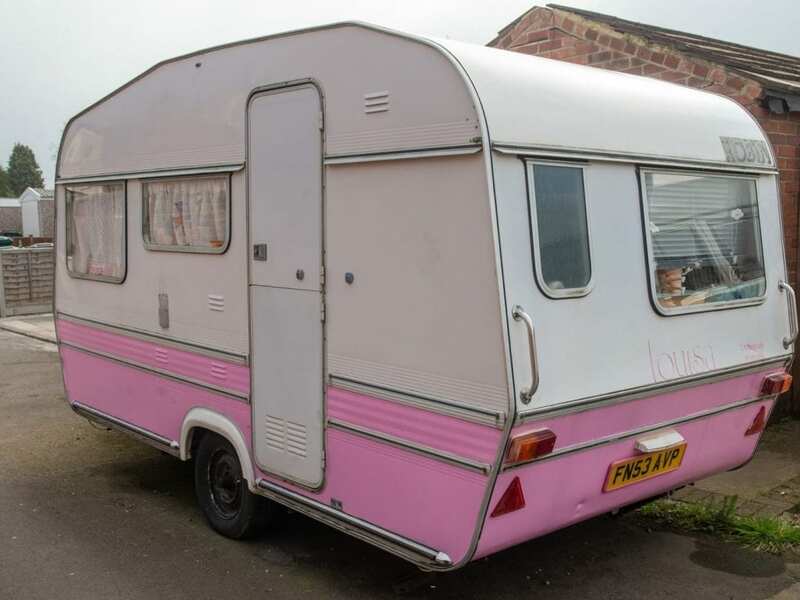 “I’ve got a vintage caravan that’s pink, it’s all pink inside. “There’s nothing wrong with it. “I just love the colour, I have always liked it. I thought why not? My partner doesn’t mind. 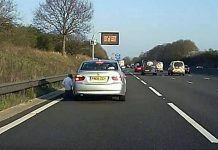 “Jason did get a bit of stick at work at first but they are used to it now. He wears pink as well sometimes. 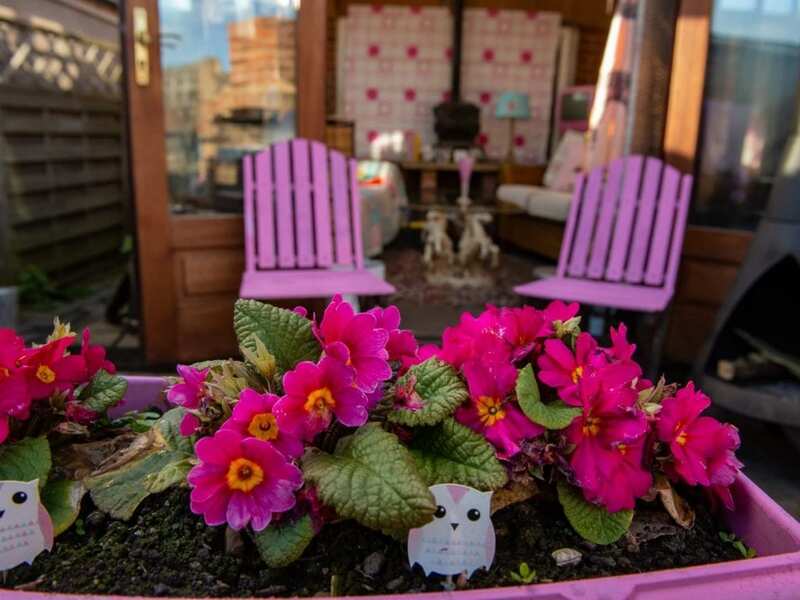 “I am having some hanging baskets made and I have specified that they need to be big and pink. “It does get a lot of smiles. “The house brightens the area up a bit and I don’t think there is a problem. 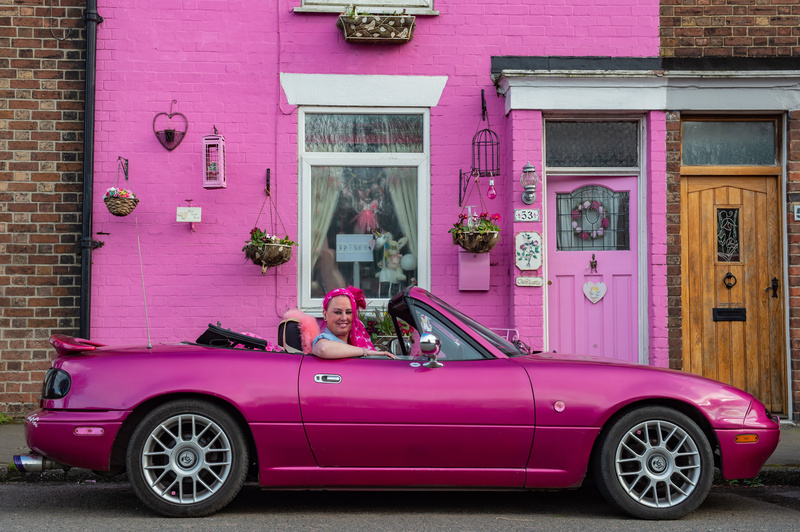 “It does get a lot of reaction, especially from children, and people park across the road so they can have their photo take with it – I never expected my obsession to turn my house into a tourist spot. “They used to knock to ask first but I don’t mind. 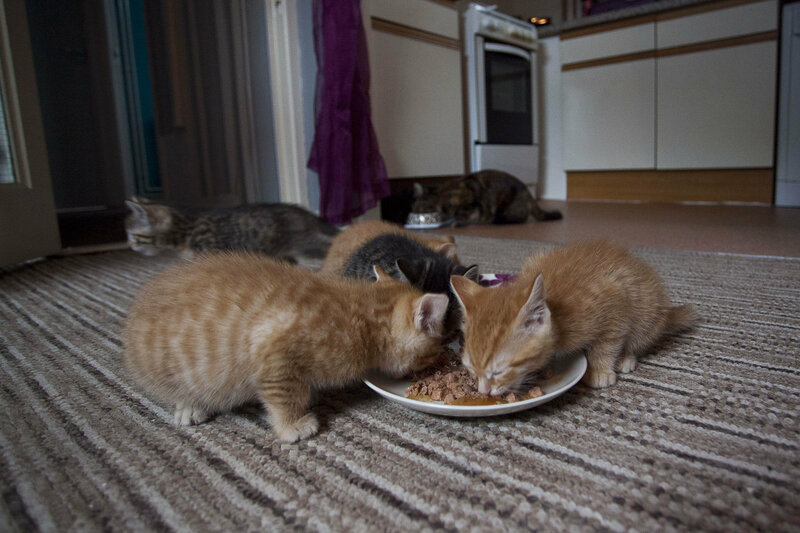 “If it makes them happy then I am happy with that.